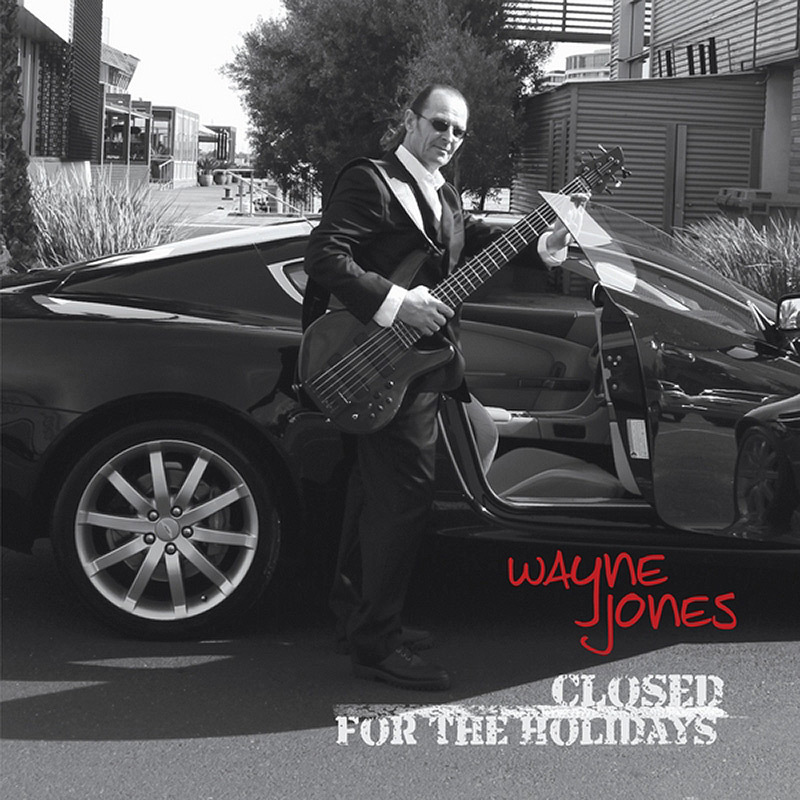 After two impressive releases over the past five years, premier Australian bassist/composer Wayne Jones’ brand new album, CLOSED FOR THE HOLIDAYS has just arrived, and it features his best work yet. Using a food analogy, the six tracks on this new CD are like a gourmet recipe… sophisticated but not stuffy, incredibly tasty, creating so much contentment going down that you’ll absolutely want to prepare it time and time again. You’d be hard-pressed to name a favorite tune, as every one of his originals is incredibly delicious. Mr. Jones really wanted to expand his sound on this project, so he invited trumpeter Rick Braun and saxman Mike MacArthur to guest. Excellent choices! Wayne’s excited about the possibilities involved in taking CLOSED FOR THE HOLIDAYS to the World, and says, “I really have a great feeling about this one. I feel like I have arrived.” Indeed you have, mate. This is the one! Jones world journey is far from over, in fact it’s only just beginning. Yet with Closed For The Holidays you can’t help but feel he’s arrived anyway. He composed six brand new songs and opens with the playful title track, that will get you immediately into a good mood. Wayne says: “I wanted to make a nice bright melody with that one. Generally my formula is melody, then I take a solo and another instrument takes a solo. On this one I had Rick Braun take a trumpet solo. I was very lucky to have him on my recording because he’s one of the top trumpet players in America in his field. He tracked it without having the sax part on it. I sent him the files and he left spaces for the sax. A nice fun track, a great groove and simple old fashioned bass lines.” ‘Feeling Playful’ continues in the same direction, but it sounds funkier and tighter. With ‘Barcelona’ I find myself walking the streets of this Spanish town on a relaxed tune. Wayne wrote it there and it has the distinct feeling of the Mediterranean coastline. ‘Children Who Lose Their Way’ is a mellow track, with a deeper meaning, but still enjoyable. But on ‘Perfect Mistakes’ the melody is funky again, but in a relaxed way, with lovely horn arrangements. And Wayne ends in a playful mood, relaxed and feeling good. Yes, ‘Strawberry on a String’ washes over you as a sunny day, with clear blue skies and lots of sunshine. “There’s no doubt about it, Wayne, this is your best work! I’m glad you sent it over. It’s most enjoyable and the melodies linger in my mind.